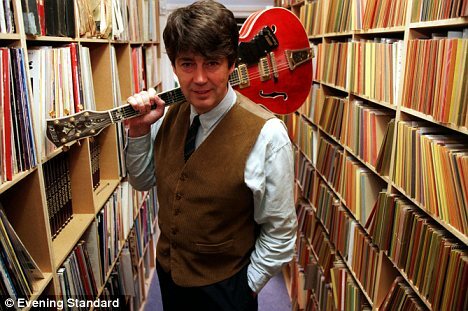 FORMER Radio One DJ Mike Read was forced to sell off his prized collection of 120,000 vinyls, featuring rare Beatles records, after being declared bankrupt. The records which feature pop legend Billy Fury and Liverpool band Echo and the Bunnymen are estimated to be worth at least £1m. The entire collection was auctioned this past Tuesday, and much to his dismay, only brought in £100K. CDs and personal items went unclaimed as buyers shunned high starting prices. The 62-year-old, who also presented Top Of The Pops, needed to sell after he went into the red earlier this year owing unpaid taxes. According to the Daily Mail, Read has been declared insolvent twice before. The first order in 2008 was annulled after he paid cash owed to Horsham Council in West Sussex. Then in February of this year he was declared bankrupt at Colchester County Court in Essex. Mike Read is currently promoting a Christmas Charity Single – Due to be released on 06 December 2009 called ‘My Christmas Card To You’. Proceeds will be donated to ‘The Shooting Star Children’s Hospice’. The single has been written by Mike Read, Elliott Frisby and Roy Wood of Wizzard. The music video also features Dave Hill of Slade, David Hamilton and Mr. Christmas.